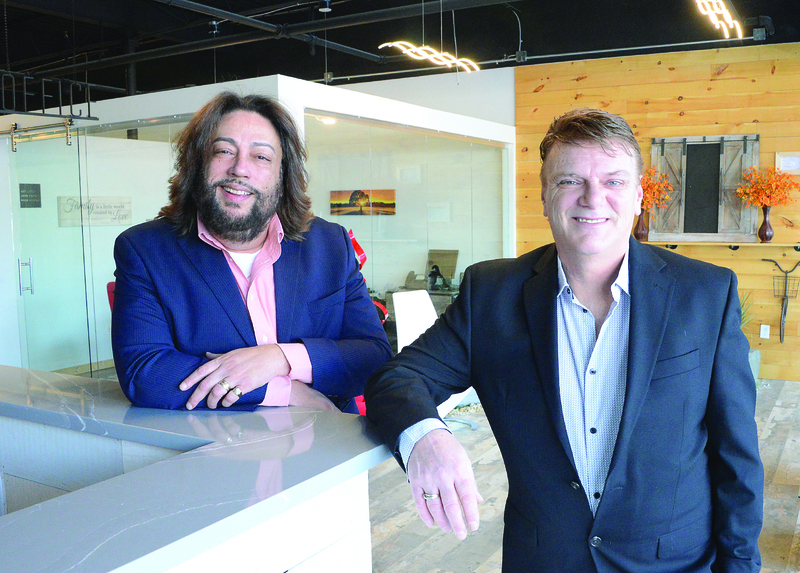 Carmelo Vines, left, and Harold Baldwin are the owners of VRED, a real estate and design company that aims to bring new concepts to match a homeowner’s unique vision. Carmelo Vines and Harold Baldwin hope to bring home design to a new level in Saratoga Springs. At VRED, the pair is bringing years of real estate experience and combining with a passion for designing. Vines said what may begin as an affordable fixer-upper property can become a dream home with the right amount of planning. He said he always wanted to design and has always had an eye for what a property could be when it comes to owning a home and loving it. “This really all started for me when I was a kid. My parents used to own their own properties and I loved helping them. When I started as a realtor, it was initially a source of income for me, but it quickly became so much more,” said Vines. He said after getting his real estate license, he knew he wanted to find a way to differentiate himself from others in the business. He began to study the market and design trends, watching shows like “Property Brothers” and learning from designers like Joanna Gaines. He liked the way Gaines would buy the cheapest house in the nicest area, and make it into someone’s dream home for a cost they could be comfortable with. Vines started CKM realty out of Schenectady, but said for design, he knew he wanted to be in a community like Saratoga, where art and designs is prominent throughout the city. He then found a space on Route 9 that allowed he and Baldwin to create a business that brings something new and different to the market. “I was dying to be in Saratoga, to have the community feeling I was looking for, and it has been wonderful. The local businesses have been warm and welcoming to us,” said Vines. Vines wants VRED designs to be know as “out of the box.” He said he feels like communities like Saratoga Springs are ready for something that doesn’t feel ordinary. He said it is okay to mix styles from modern to rustic. It is all about bringing out who the homeowner is and what they envision as their perfect space. “I am bringing a unique design that has a bit of California and Las Vegas to the area. We want to bring in new things and show people that they can do it. They don’t have to be cookie cutter, and that is OK,” said Vines. As part of the design process, VRED collaborates with buyers, seeing them through the process, from financing to furnishings. They work with a team of expert buyers to create a home at a price they can afford. Vines said they offer full 3D computer interior design and layout, which includes all the furnishings and components. They plan to eventually employ around 15 people. To learn more about the services provided by VRED visit VRED.house, or visit their office at 772 Route 50, Suite 9, Burnt Hills.